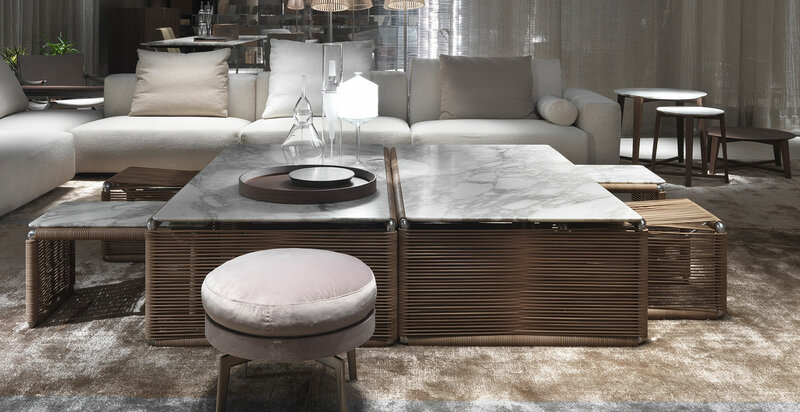 With an intriguing, precious weave of cowhide cord that wraps the rounded tubular metal structure, the TINDARI tables have tops in marble or wood. 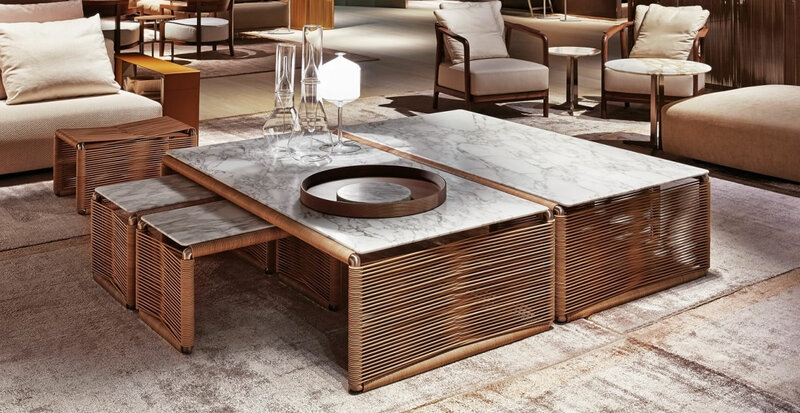 Meters and meters of honey or tobacco colored cowhide, woven by skilled craftsman, warm the metal base and generate a product of great character, not unlike the weaves of outdoor furniture, bringing overtones of exotic faraway cultures into the home. 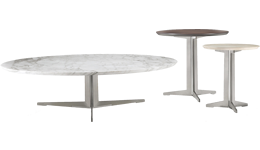 The TINDARI tables and ottomans are beautiful because they are layered, intersected, aligned to create a small, natural domestic landscape.